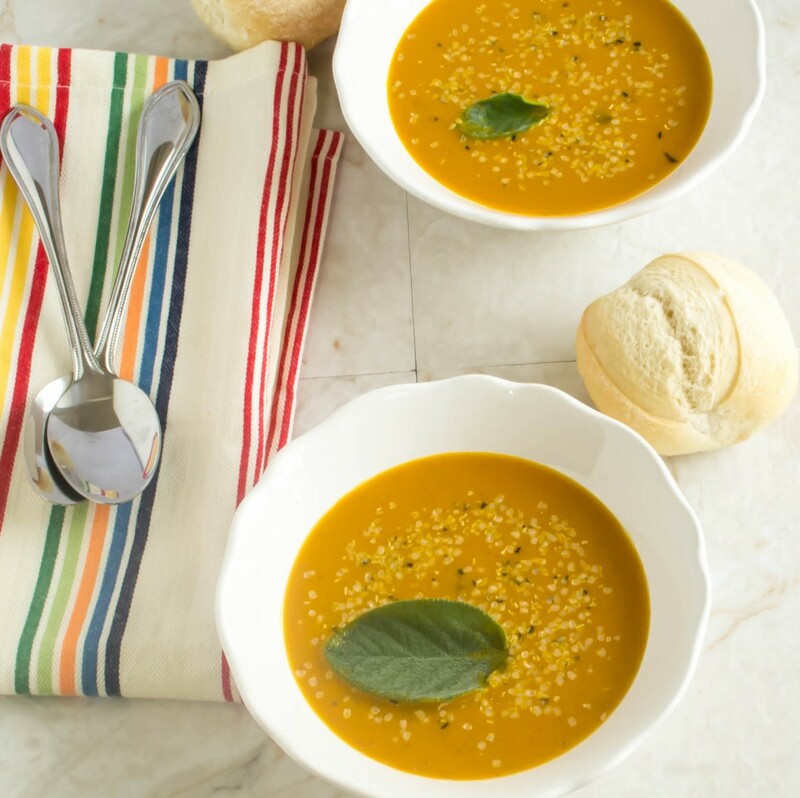 This Spicy Carrot Amaranth Soup is perfectly flavored with spices and is satisfying. It is vegan and gluten free with added protein. It was a cold rainy Saturday evening with beautiful droplets on my patio, the temperatures were going down and I was cuddled in a couch with my favorite blanket. I was listening to my favorite soft melodious numbers and the sound of the rain droplets added to the music. Somewhere in my mind the bell was ringing Sss! Sss! Soup! Hot spicy Soup! The thought made me crave for it. I looked at my husband who was also happily cuddled and we exchanged a knowing look and smiled at each other. He was craving for the same. My daughter was happily dancing to the tunes and enjoyed every moment of the rain. I looked into my refrigerator and saw the baby carrots sitting in the fresh produce drawer and some cooked leftover amaranth on the top shelf. I knew what I wanted to cook that evening. A whole some healthy meal came to my mind immediately and Spicy Carrot Amaranth Soup was created. The moment I added cinnamon stick to the warm oil my house was full of fragrance and made me hungrier. The sage leaves gave a tangy flavor to the soup and the garlic added to the flavor of the appetizing soup. With the coconut milk and hemp seeds I added to the nutrition of the soup. One bowl of Spicy Carrot Amaranth Soup satisfied my happy tummy and my family as well. 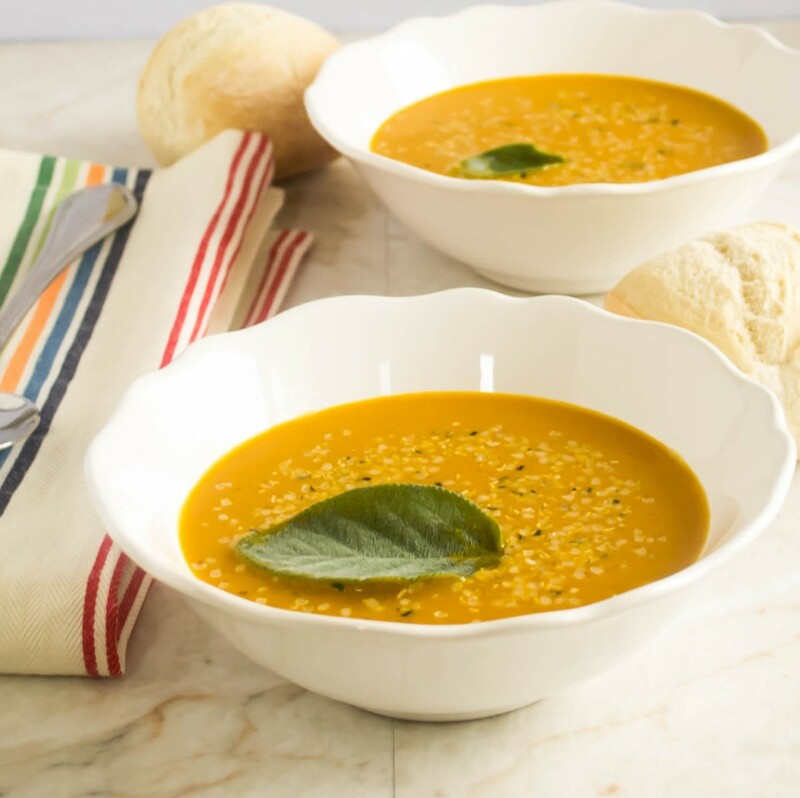 This Spicy Carrot Amaranth Soup is perfectly flavored with spices and is satisfying. Heat oil in a non stick sauce pan. Immediately add cinnamon stick, sage leaves and garlic. Saute for few seconds until garlic starts turning brown. Now, saute chopped onions in it until onions are translucent. Add baby carrots and saute again for 1-2 minutes or until the carrots are soft. Now, pour in vegetable stock and mix in cayenne pepper powder. Turn off the flame and let it cool. Once cooled take out the cinnamon stick and pour in a blender. Blend it smooth. Strain the soup and return it back to the sauce pan. Turn on the flame and heat the soup again. At the first boil add cooked amaranth and salt. Mix well. Once the soup is well heated turn off the flame and stir in coconut milk. Pour the soup in the soup bowls and garnish with hemp seeds. Feel free to adjust the spice level as per your taste. Tastes best if serves immediately. This soup can be refrigerated for 2-3 days in an air tight glass container. 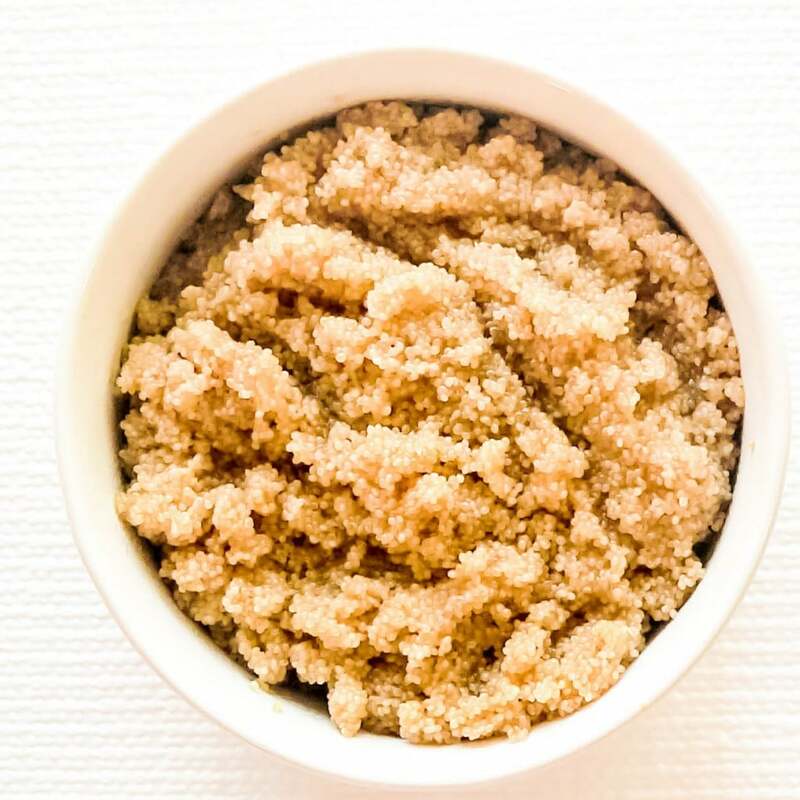 Amaranth may stick to the bottom so stir and warm it up before consuming. Perfect recipe for this time of year. Looks delicious! Thanks Kathy. Hope you enjoy this recipe! I started making this recipe thinking it asked for fresh amaranth greens and since I didn’t have the type of amaranth it called for, I continued making it with the greens. It was pretty tasty! Thank you Shelby. It’s a great idea to use Amaranth greens as well.